We all get the drone as a gift, something to play with, or maybe so we can use it for business. We start flying it. We have lots of fun. But eventually, we ask ourselves “Are there any drone regulations I should know about?” After all, we don’t want to be “that guy” on the local 9 O’clock news with the horrible mugshot with frizzled hair. I created this page as a directory for SOME of the U.S. drone regulations. Note: there are many different areas of the code of federal regulations that apply to drone flight. In this page, I am attempting to cover only the MAJOR portions that are applicable to most people. There is the potential for state drone laws to apply as well. I have a directory of state drone laws. The scope of this article is only for FEDERAL drone regulations, not state regulations or state or federal legislative laws. This page also helps for studying for the drone pilot license in case you want to make some money using your drone. I have a step-by-step guide on how to obtain the drone pilot license as well as a large study guide to prepare for the test. The exam is about 15-25% just on regulations. There is also an online training course I have on drone regulations located here. Before flying, you should contact a competent attorney before you fly to make sure things are “ok” in your neck of the woods regarding any drone regulations. Another reason for that is many states have state drone laws as well. This page is NOT considered legal advice. This page is going to focus ONLY on federal drone regulations, not state drone regulations or federal/state drone legislative laws. Drone laws can be broken up into (1) drone law statutes created through a legislative process and (2) drone regulations created through a rule making process. The U.S. Government has through the legislative process created multiple federal legislative laws that apply to aircraft in general and also some that specifically address drones. I created a directory of federal drone legislation directory. In our form of government, the states have also created legislative state drone laws through a similar state process. Now you might be wondering where the federal and state agencies play into all this. Congress cannot do everything and watch all the little things that need managing. This is why Congress creates an agency with a specific scope of jurisdiction and authority to create regulations. The process by which regulations are created is the rulemaking process. Federal agencies and state agencies create regulations through the rulemaking process. Watch the video to see an overview of the process. There are different U.S. federal agencies which have jurisdiction to regulate drones in some way such as the National Transportation and Safety Board and the Department of Transportation. If things couldn’t be complicated enough, states agencies have created drone regulations. The regulation either apply to aircraft generally (manned and unmanned) or drones specifically. Unfortunately, there is not one place in the law where we can look and say “here specifically are all the drone regulations in sequential order.” There are many different regulations spread out all over that apply in certain circumstances. Certain regulations apply to the operations, import/export, foreign aircraft operation, registration, accident reporting, etc. Thankfully, we can say that ALL of the federal regulations are located in one code – the code of federal regulations……… Except the code is pretty huge. See the video for an overview. This article is not going to be exhaustive in listing EVERY drone regulation that would apply to your drone operations. I’m going to cover the drone regulations which apply to the majority of Americans. Once again, contact a competent attorney before flying so as to make sure your flight is legal. Multiple parts of the Federal Aviation Regulations (“FARs”) could apply to your drone flight but the 4 common areas of regulations are Part 47, Part 48, Part 101, and Part 107. Part 47 is the set of regulations that manned and unmanned aircraft register their aircraft under. This is the paper based method of registration which is annoying and takes a while to complete. The FAA created Part 48 for unmanned aircraft because (1) Part 47 would be costly to the FAA to run, (2) would back up the entire registration system, (3) and Part 47 has a finite amount of N numbers which means the drones would completely exhaust the supply for registration numbers. Unmanned aircraft that are 55 pounds or more, intend to be operated outside of the territorial airspace of the United States, or registered through a trust or voting trust must register through Part 47. Everyone else has the option of register under Part 47 or Part 48. Part 47 is per aircraft while Part 48 for model aircraft flyers is per person which means that a model aircraft flyer can save money going with Part 48. This registration is only for drones weighing less than 55 pounds and more than 0.55 pounds (250 grams) on takeoff, including everything that is on board or otherwise attached to the aircraft and operated outdoors in the national airspace system. Unmanned aircraft that are 55 pounds or more, intend to be operated outside of the territorial airspace of the United States, or registered through a trust or voting trust must register through Part 47. Part 48 is the online method of registering your drone. The aircraft owner fills out the information on the websites and receives a Certificate of Aircraft registration will be delivered to the aircraft owner via the same web-based platform used to register the aircraft. The Certificate of Aircraft registration contains the drone owner’s name, issue date, and registration number. A Certificate of Aircraft Registration issued in accordance with part 48 is effective once the registration process is complete and must be renewed every three years. If you are flying your aircraft exclusively as recreational, you can create a registration identification for $5 which you can put on all of your aircraft. If you are flying your aircraft as non-recreational, such as commercial or government, you would register each aircraft for $5. Persons 13 years of age and older are permitted to use the part 48 process to register a small unmanned aircraft. If the owner is less than 13 years of age, then the small unmanned aircraft must be registered by a person who is at least 13 years of age. Owners of small unmanned aircraft must register their aircraft prior to operation of the sUAS. Part 48 as applied to model aircraft flyers was briefly declared illegal with the Taylor v. FAA case but the National Defense Authorization Act of 2017 undid the Taylor v. FAA case ruling which means that unless there is another court ruling over turning the NDAA of 2017, you should follow the law. This is a set of operating regulations for aircraft both manned and unmanned. You have different ways to get airborne legally with a drone. You have the options of operating under Part 91 or under Part 107. Part 107 is far easier to comply with for most operations but there are times when you need to operate under Part 91. Prior to Part 107, the only thing available was Part 91, and other parts of the FARs, for drone operations. During this time, we operated under Section 333 exemptions and the rest of the regulations. Since we have Part 107, why would anyone fly under this part? Operations of unmanned aircraft weighing 55+ pounds, public aircraft operations, and unmanned aircraft air carrier operations. It might surprise you but public aircraft operations under public COAs and some Section 333’s still use this method. You should check out my article on Section 333 v Part 107 v. Public COAs. Most individuals flying under Part 107 come in contact with regulations from this part because Part 107 references the alcohol and drug prohibitions and flight restriction regulations listed in Part 91. “This part prescribes special air traffic rules for operating [drones] in certain areas described in this part, unless otherwise authorized by air traffic control.” You might be saying, “Hey, I didn’t hear anything about Part 93.” Well, yes you did. You just did not know it. The FAA made a huge amount of noise over the Washington D.C. Special Flight Rules Area Sections (93.251 – 93.253) back in 2015 and 2016. This area is heavily restricted some of it is a complete no drone zone. So yes, the FAA believes that Part 93 DOES apply to unmanned aircraft. Note that this part applies only to the locations listed below. If you are operating on one of those locations, read the regulations to see if they apply to you and your operation. If your operations meet all 8 of those elements, then you may fly under Part 101. If you fail on just one of those points, you must fly under Part 107. 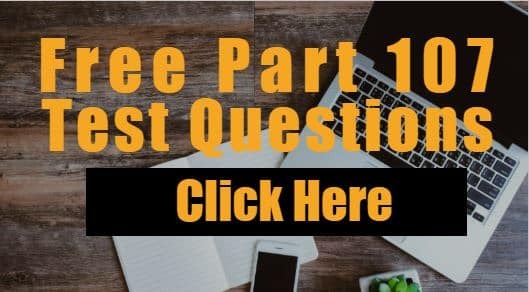 Part 101 flyers are still required to not “operate model aircraft so as to endanger the safety of the national airspace system.” There are many myths and misconceptions about Part 101 and the Taylor v. FAA ruling. You should read my article where I discuss the myths. Keep in mind that some of this article is out of date but some of it is still valid. Part 101 is a copy-paste of Section 336. The FAA has published two interpretations on Section 336 of the FAA Modernization and Reform Act of 2012. The FAA issued these interpretations prior to Part 101 subpart E becoming law. The first interpretation was on June 18, 2014 and basically said that FPV racers could not fulfill the “within line of sight” requirement. This has not been updated. The second interpretation was a memo allowing educators, educational institutions, and certain other people to fly under the model aircraft rules. You should read my entire article on drone law for educators where I really dive into the topic. If you are wondering how high can the model aircraft fly, see my article on this topic. Part 107 – Remote Pilot Certification, Operating Rules, Aircraft Requirements, etc. This is what most of America flies under with their drones. Recreational, commercial, and government pilots can all fly under this Part 107 which is far easier to comply with than Part 91. 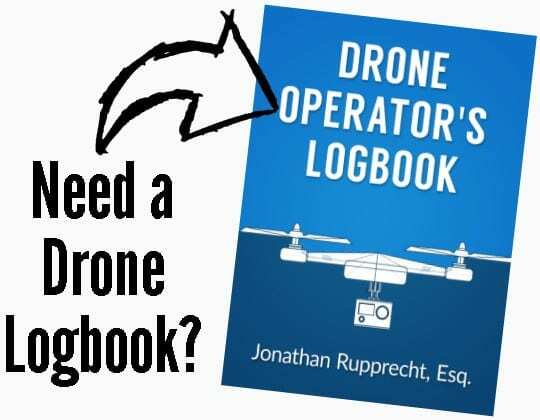 Part 107 tells you how to obtain your remote pilot certificate, how to lose it by violating the operating rules, and how to get waivers from certain types of operating restrictions. I have a whole in-depth article on Part 107 by itself. Click here to read it……….. If you are flying your drone “for the purpose of dispensing any economic poison, (2) dispensing any other substance intended for plant nourishment, soil treatment, propagation of plant life, or pest control, or (3) engaging in dispensing activities directly affecting agriculture, horticulture, or forest preservation, but not including the dispensing of live insects[,]” then you your operations will be falling under Part 137. This part applies to recreational and commercial drone operators. Sections of Part 137 cannot be complied with easily so if you want to do some drone spraying operations, you’ll need an exemption from certain sections of the regulations. Contact me if you need help with one. When you think of drones, you automatically think of the FAA but other federal agencies have federal regulations in the CFR that could potentially apply to your flight. Here are SOME of the ones I have seen pop up or get people in trouble. “(a) We authorize commercial filming and still photography on national wildlife refuges under the provisions of 43 CFR part 5. (c) Failure to comply with any provision of 43 CFR part 5 is a violation of this section. Brendan Schulman posted a letter on Facebook of a letter a person received who shot drone footage over a whale in Florida. The letter mentioned this regulation. (ii) Fail to undertake required right whale avoidance measures specified under paragraph (c)(2) of this section. (i) If underway, a vessel must steer a course away from the right whale and immediately leave the area at a slow safe speed. (ii) An aircraft must take a course away from the right whale and immediately leave the area at a constant airspeed. (i) Paragraphs (c)(1) and (c)(2) of this section do not apply if a right whale approach is authorized by the National Marine Fisheries Service through a permit issued under part 222, subpart C, of this chapter (General Permit Procedures) or through a similar authorization. (ii) Paragraphs (c)(1) and (c)(2) of this section do not apply where compliance would create an imminent and serious threat to a person, vessel, or aircraft. (iii) Paragraphs (c)(1) and (c)(2) of this section do not apply when approaching to investigate a right whale entanglement or injury, or to assist in the disentanglement or rescue of a right whale, provided that permission is received from the National Marine Fisheries Service or designee prior to the approach. (iv) Paragraphs (c)(1) and (c)(2) of this section do not apply to an aircraft unless the aircraft is conducting whale watch activities. (v) Paragraph (c)(2) of this section does not apply to the extent that a vessel is restricted in her ability to maneuver and, because of the restriction, cannot comply with paragraph (c)(2) of this section. There are marine sanctuaries all over the US. Each sanctuary has its own set of regulations in Part 922. If you are studying this out, you want to pay attention that subparts A through F apply to the entire program so don’t just pick one subpart that applies to the particular sanctuary and read only that! NOAA has a whole article explaining the regulations and the history of them.